Jakarta Communication Informatics and Statistics (Diskominfotik)'s Jakarta Smart City (JSC) tries to apply 5G technology in Kota Tua, Taman Sari, West Jakarta.
" 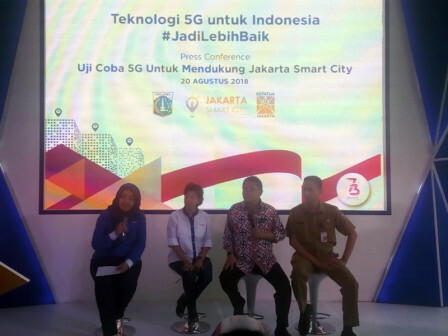 Our target is to install hundred thousands sensors and CCTV in 60 thousand spots in Jakarta within these five years"
By applying 5G technology, JSC Unit Head, Setiaji mentioned, it will support Jakarta Smart City program that plans to install thousands CCTV and sensors in all Jakarta areas. "Our target is to install hundred thousands sensors and CCTV in 60 thousand spots in Jakarta within these five years, especially in streetlights, traffic lights, and others. This installation is one of Jakarta Government programs in realizing Jakarta as a safer and smarter city," he explained, Monday (8/20). Previously, Communication and Informatics Minister, Rudiantara stated, government is committed to help Jakarta to advance its telecommunication technology thus it will be not much difference with Singapore. "We are committed to help realizing Jakarta as Smart City through modern telecommunication technology in 2019," he affirmed.